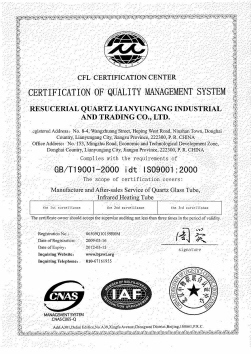 Company Overview - Resucerial Quartz Lianyungang Industrial & Trading Co., Ltd.
Resucerial Quartz Lianyungang Industrial & Trading Co., Ltd. is a professional manufacturer and exporter of clear or unclear quartz tube, IR heating elements, like quartz tube heater,tungsten halogen heating lamp, carbon heater tube, infrared lamp,quartz heating lamp,quartz heater tube,far infrared quartz heating lamp. We supply high quality but competitive prices of quartz wares for lamp, heating, drying, semi-conductor, optical, chemical, laboratory, electronic and etc. industries in China for more than 16years.Our company is taking the necessary steps to meet market requirements with a wider range of product options. Recently, we have modernized facilities to maintain our product quality. Our continuing goal is "the manufacture of tubing is dimensionally accurate, has uniform properties, and is capable of meeting the highest standards of performance". Based on our more than 16 years' experience in technology, research and development, investment in facilities and strict quality control for customer satisfaction, we become one of the largest local companies in this field. 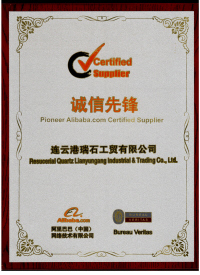 Our products are welcomed by international companies. 90% of our products are exported to India, USA, Germany,Iran, Turkey, Egypt, Netherlands, Korea, Japan and other countries and regions. We have complete facilities for off the shelf delivery of production items, and fast response on customized orders. Our company has outstanding professionals who have been developing their skills and experience on tubing industry. 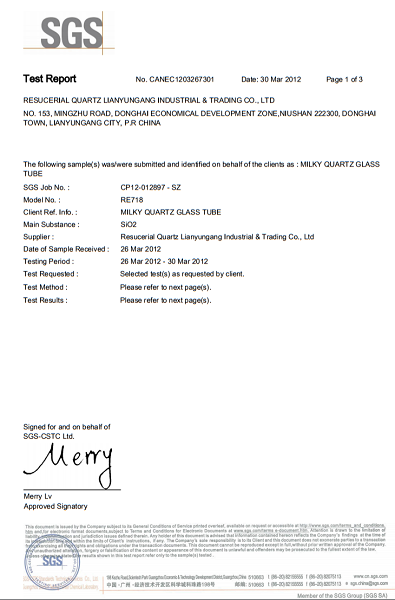 All the processes making tubing are strictly controlled our under quality control system.We have been signed long-term supplying contracts with clients from Europe, India, Iran, Egypt, Japan, Korea, and other regions and countries. Please feel free to contact us for further information.